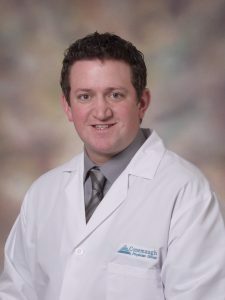 Conemaugh Physician Group – Urology is pleased to welcome Russell J. Enedy, PA-C, Physician Assistant to its practice. Enedy will primarily see urology inpatients and consultations at Conemaugh Memorial Medical Center. Originally from Portage, PA, Enedy obtained his Master of Physician Assistant Sciences degree from Saint Francis University in Loretto, PA. Enedy previously worked as a Physician Assistant in Cardiothoracic Surgery at UPMC McKeesport before starting his career at Conemaugh Memorial, where he worked as a Physician Assistant in the hospitalist department. Enedy discovered his passion for urology and is excited to join the Conemaugh Physician Group – Urology team. When not seeing patients, Enedy enjoys spending time in the local communities including outdoor activities with his fiancée.